This past month has been all about pricing services and raising your rates. 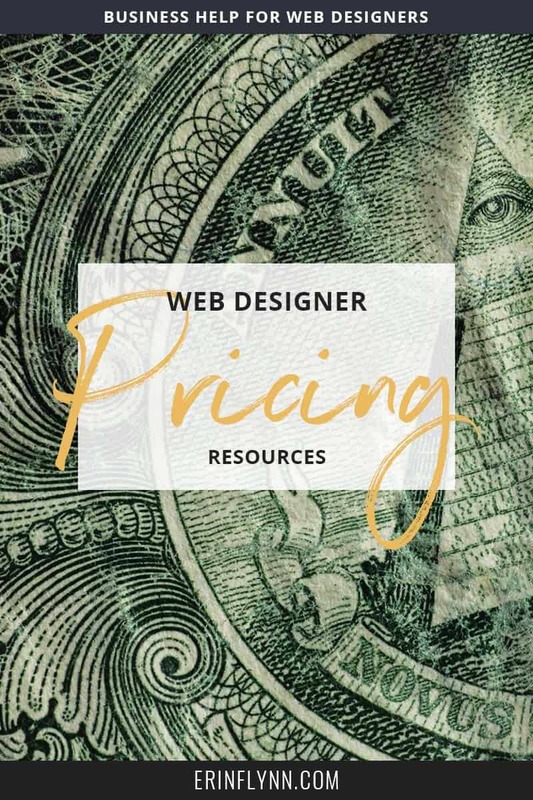 Check out these pricing resources for more help! How much money do you really need to make? – Do you know how much money you actually need to be making each month? If not, start here! How to price and package your web design services (ebook) – Learn the steps I take to price and package my services and be profitable! Pricing Q&A (via Devon Smiley) – Should you charge hourly, or by the project? Devon Smiley breaks down the options! How to price your services – Pricing is tricky business, but it doesn’t have to be. How to price your work like a hero (via Red Lemon Club) – Like a hero you say? Count me in! Freelance rate explorer (via Bonsai) – This simple tool gives you an overview of what others are charging hourly. Freelance hourly rate calculator (via BeeWits) – This tool goes more in-depth to help you calculate hourly rates. How much money should you charge for design? (via Web Designer Depot) – What’s wrong with price lists? Find out in this article! I’m a chronic under-pricer (via Mark Butler on the Freelance to Freedom Project) – Are you a chronic under-pricer too? How to get paid what you’re worth (via Freelancers Union) – An in-depth article looking at pricing options and the pros and cons of each. The rookie pricing mistake even experts make (via Devon Smiley) – Have you made this rookie mistake? I have in the past! Make sure you don’t do this. Figured out your pricing? Now it’s time to tell clients that you’re raising your rates. These links can help! How to raise your rates – A break down of why you need to raise your rates, and a copy+paste script to tell clients that you are. Charge what you’re worth (free mini-course) (via Double Your Freelancing) – The free email course will help you gain the confidence you need to raise your rates. 4 methods to talk about price increases with your clients (via Think Creative Collective) – These four different options help you raise your rates with ease! How do I raise my rates without making it awkward? (via The Middle Finger Project) – Raising your rates can feel awkward. Ash explains why the presentation of raising your rates is more important than the rate increase to your clients. Why your customers would be happier if you charged more (via Kalzumeus) – Say what? Listen to this podcast with Ramit Sethi and Patrick McKenzie to learn why your customers would be happier if you charged more! Your challenge, if you haven’t already, is to take 1-2 hours, sit down, figure out where your pricing needs to be, and raise your rates. You can do this, you deserve to be paid well for your services. Get to work on it now!